The Senior Program builds strong communities by giving seniors the opportunity to network with peers while celebrating and upholding cultural traditions. 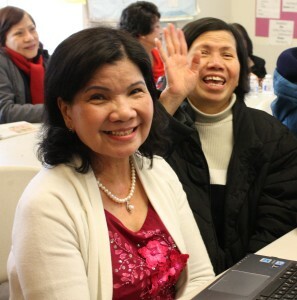 The number of refugee and immigrant seniors in King County has grown considerably in the last decade. Many refugee and immigrant seniors live alone and suffer from depression and loneliness. Furthermore, language, cultural, and transportation barriers prevent them from accessing mainstream community resources. By engaging in social and physical activities, seniors are able to form connections and break the cycle of loneliness and isolation.